Fire alarm systems are among the most important security systems in a facility, but unlike surveillance cameras, which are usually monitored live, little attention is paid to fire alarm systems, for the simple reason that fires in facilities are a rare occurrence. 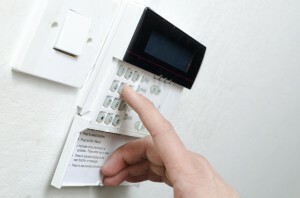 While those who work in a facility would hope that they’d never have to use the fire alarm system, the fact is that the time may come when they need to know how to use it. Unfortunately, even people who are trained in using the fire alarm system may not be well-versed in how to use it. Often training occurs when the system is installed and there are no refresher courses or tests to keep proficiency levels up. Over time trainees may remember little if any of what they were taught. And even if they do, they may not be in the facility at the time of a fire, putting use of the system in untrained hands. It is at times like these when the importance of designing a user-friendly and intuitive fire alarm system is underscored. Systems must be easy for anyone to use even without training. Old systems can often be overwhelming with a multitude of buttons and symbols that only confuse the user who, in not wanting to push the wrong button, may choose not to engage with the system at all. This is why more and more new systems are being designed with intuitiveness as a priority. Touchscreens modernize fire alarms and make them more approachable, even to those with no training. Touchscreen fire alarms can even guide the user in the operation process in real-time, which, when a fire is threatening the safety of a facility, could potentially save lives. This entry was posted on Wednesday, February 12th, 2014 at 10:48 pm. Both comments and pings are currently closed.